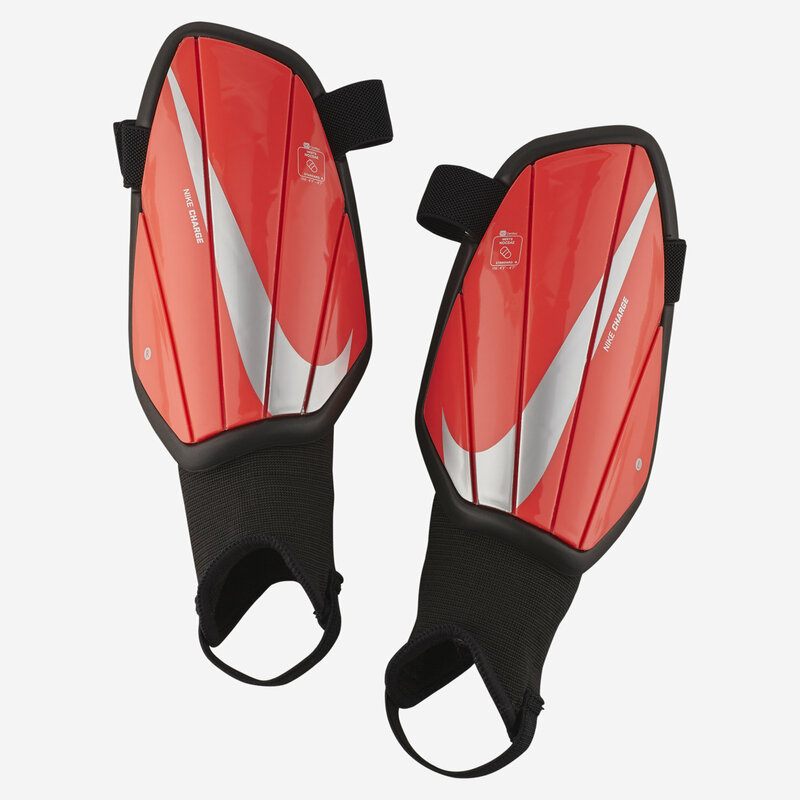 Step onto the pitch with confidence when you wear the Nike Charge Shinguards. The design features a hard shell for low-profile coverage and a foam back for comfort. Pull-on stirrup design stays in place during play. Shell gives you low-profile impact absorption. Foam back fits the contours of your shin for comfort.